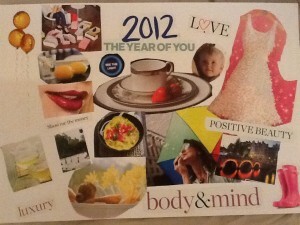 Have you always wanted to create a vision board? 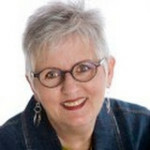 Are you longing to clarify your heart’s intention and move into your dreams? while tapping into the Treasures of Your Intuition. During our time together, you will walk through several simple—yet powerful—exercises to connect with your heart and your intuitive wisdom. Creating a vision board is a form of self expression that allows you to get lost in your creativity while focusing on what you want for yourself and claiming it with images, words and color. There are no rules to follow and you don’t have to figure out what to put on your vision board ahead of time. By using the medium of collage, we simply “see, cut and paste.” Yes, it really is that easy! During this retreat you’ll create your own vision board and experience guided meditations, journal writing, and your heart opening to new possibilities. This vision board retreat is the perfect place to launch a new chapter of authentic living for yourself. Here’s what you can expect from attending this retreat. You will walk away with your unique vision board which will reflect who you are and what you want for yourself. 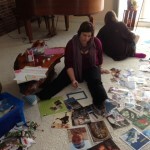 You will give and receive insights and observations about your vision board in a friendly, supportive, safe space. You will step into some time away to embrace greater clarity about what you want to bring into your life. You will have an opportunity to be creative in unexpected ways. To tap into the creative well that is flowing inside you that connects you more deeply to yourself. To embrace possibility with a personal, visual reminder to keep that energy alive for you throughout the year. 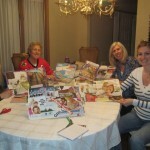 To laugh, unwind and have fun with a great group of women. Then come experience the power of women gathering together! 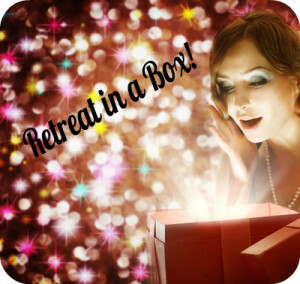 If you’re not quite sure what a “virtual” retreat is, let me explain. It’s a super fun time where we get together via tele-conference line—and you come as you are (fuzzy slippers optional!). We’ll gather on the phone at the top of each hour for 15 to 20 minutes, and then get off the phone to complete our next action steps. I’ll be there to provide guidance and support—and you’ll have fun exploring your creativity, gaining powerful insights and experiencing some wonderful surprises along the way! 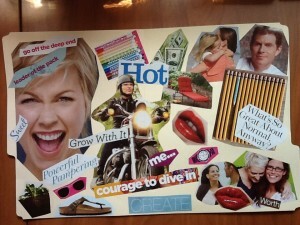 You’ll leave the retreat with a brilliant vision board and feel energized, relaxed and ready to face what comes next. Here’s what past participants have said about this Retreat. Can’t make this retreat? No worries. Type your email address below, and I’ll keep you posted about upcoming retreats and events. 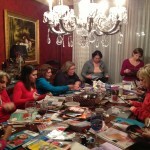 This is a great retreat to do in-person with a group of women. Everyone has a wonderful time working together and learning about themselves at the same time. Contact me to discuss scheduling and details.